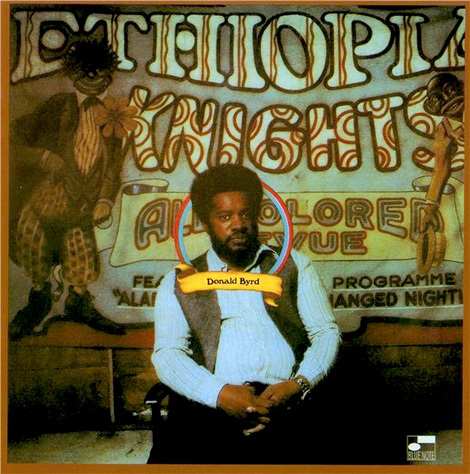 Donald Byrd sure made his contribution to the Early Jazz Funk movement and this album “Ethiopian Knights” is certain proof. This is the album prior to the famous Black Byrd album and where he was heavily criticized by fellow Jazz musicians because of its total abandonment of traditional creative improvising and what Jazz really stands for. Donald Byrd created a new genre in the commercial musical world which was later named “Smooth Jazz.” In my opinion, Black Byrd did harm traditional Jazz but this wasn’t the only reason. There are other factors involved but I will discuss this matter in the future. For now, let’s concentrate on this classic. To listen to this album featured here in its entirety, please go to the schedule link for play times.